Teresa is an owner of the company and is responsible for business development and planning for the company. She has been instrumental in the completion of over 85 apartment, condominium, office and retail renovations, which has totaled over $108 million and won numerous awards including Project of the Year by Multifamily Executive Magazine and most recently, the coveted Paragon Award from The National Apartment Association (NAA). Other accomplishments of her success include, but are not limited to, being named “Women Who Mean Business” by the Kansas City Business Journal and “Owner of the Year” over seven (7) times by the Apartment Association of Kansas City. 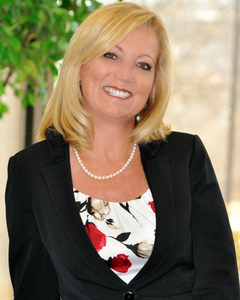 Teresa attended Northeast Missouri State University and holds real estate licenses in the states of Missouri and Kansas. She has been in the property management industry since 1979. Prior to founding CRES she was Senior Vice President and head of property management for a Kansas City based Real Estate Investment Company. She has received her compliance training and certification for the Section 42 low-income housing tax credit program.